Today the 3rd ornament pattern is now available to members of the Holiday Stitch-along Ornament Club! Have you made your Hot Chocolate yet? 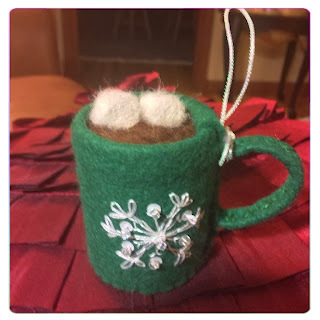 Lisa of MyCraftingBee.blogspot.com made this green little mug, above, with a few variations. She even added sequins to her snowflake embroidery. Nice! 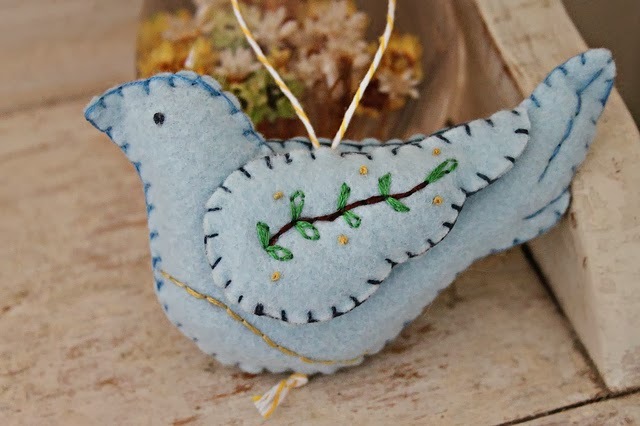 Maureen, over at Maureen Cracknell Handmade, shared her beautiful Peace Dove, below, on her blog today. I love the soft blue felt she used. Speaking of felt, she’s got a great selection of wool blend felt in her etsy shop. Visit her blog for details and a coupon code for 20% off any time this month! 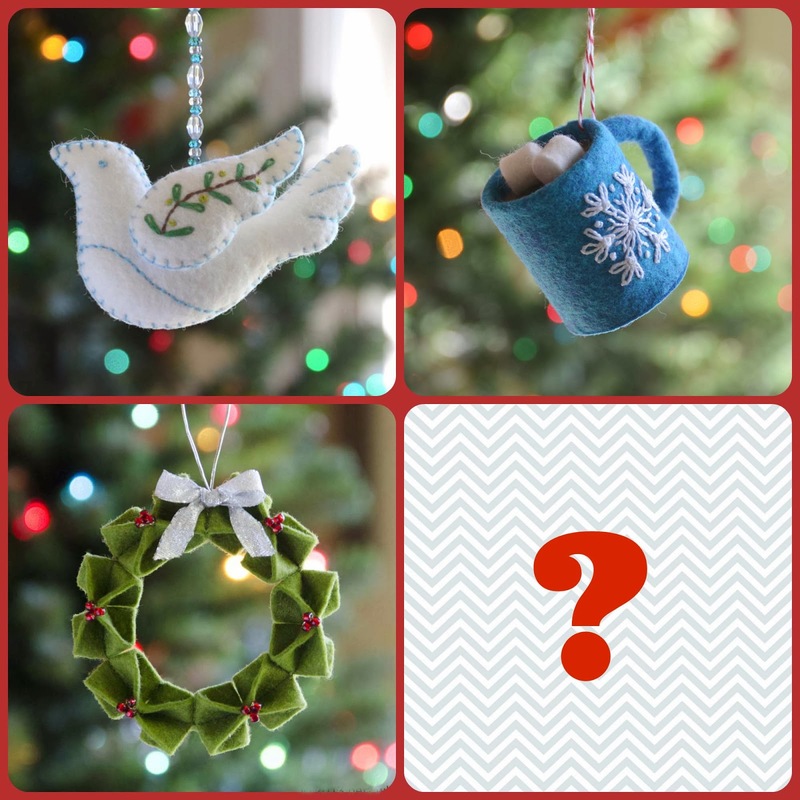 One more mystery ornament to go! 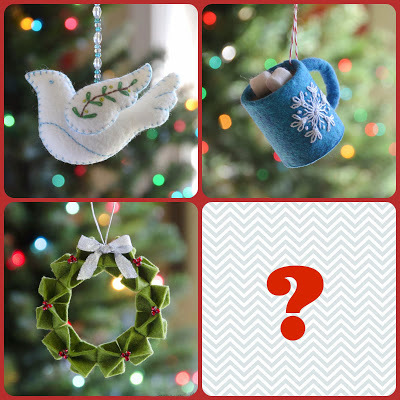 The next ornament pattern in the club will be released in 4 weeks, on Monday, December 2nd. You may join the club at any time and get all 4 ornaments as they are released by registering here. 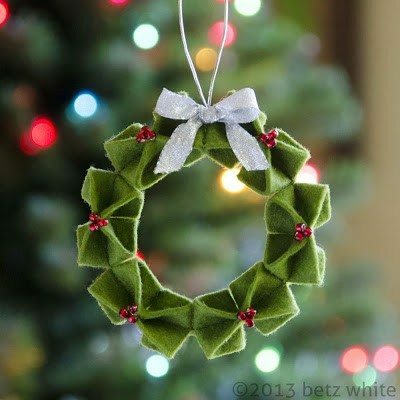 The individual Origami Wreath Ornament will be available for non-club members in my pattern shops this Friday, November 8th.